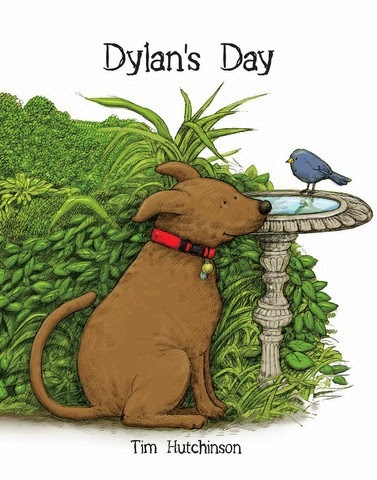 Dylan the loveable dog must plan his day.With so many things to do, it's hard to focus on his ultimate goal, to find "the big fat cat who lives next door." He sniffs out bread and windows, finds an old rope and a watering can. He follows balls and chases birds, but with all of Dylan's distractions, he still manages to focus on that fat cat. Detailed illustrations add life to Dylan's silly adventures. The young reader will find something new each time he or she opens the book. What happens when Dylan does find the cat next door is sure to delight while teaching a subtle lesson that admitting fear is okay. The rhythm flows without feeling like forced rhyme. A solid read aloud book.